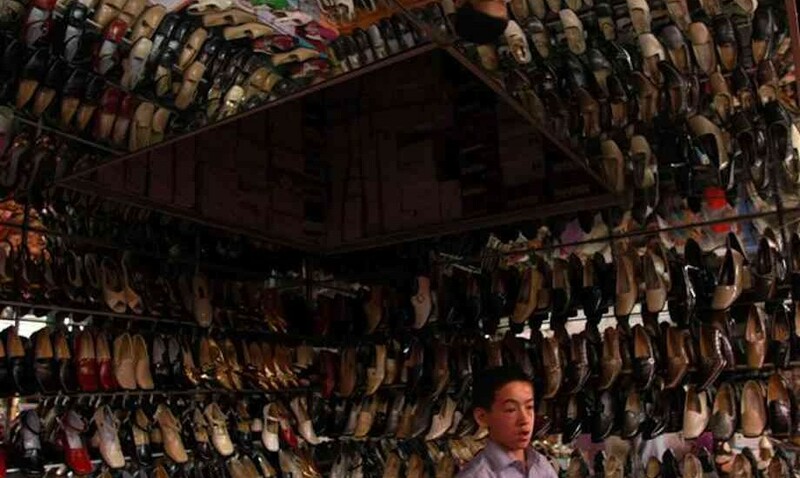 A Uighur boy sells shoes in the bazaar of Kashgar’s famous Sunday market, which has reputedly been in operation since the time of Christ. Everything is for sale at this historic stop on the old Silk Road – from camels to kitchen sinks. Like the city of Kashgar itself, however, the market is being rebuilt and reorganised in the name of progress and sanitation. The animal bazaar was recently moved to a new site ten kilometres from the centre of town, and the grand bazaar, which has typically been associated with the chaos of loosely ordered stalls, is being moved into strictly organized buildings. Kashgar is the former Islamic capital of the far western Chinese province of Xinjiang (which the Uighurs privately call ‘Eastern Turkestan’). Although open to foreign tourists, it is still politically one of the most sensitive areas of China. 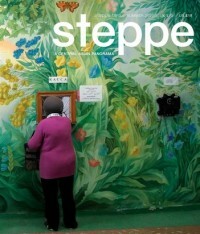 Uighur resentment of Beijing’s harsh rule erupted during the 1990s into protests, riots and acts of sabotage. Since 2001, the Han Chinese military and armed police garrisons have been strengthened to suppress ‘separatists’ – or, as they are now routinely labelled, ‘Islamic terrorists’. Uighurs, and other Turkic-speaking minorities, complain that the benefits of a massive economic development programme are being enjoyed mainly by the Han Chinese who are pouring into the province and may now, for the first time, outnumber the twelve million Turkic-speaking natives.